The Nigerian government has concluded plans to declare some top officials of the Goodluck Jonathan administration wanted, in connection with several ongoing corruption investigations. Security sources aware of the plans told PREMIUM TIMES that although other names would be released in future, the first list of wanted ex-officials and military officers, who anti-graft investigators believe fled the country to evade arrest and prosecution over corruption, has been compiled and would be released this or next week. Top on the list of those to be declared wanted is a former Minister of Justice and Attorney General of the Federation, Mohammed Bello Adoke. 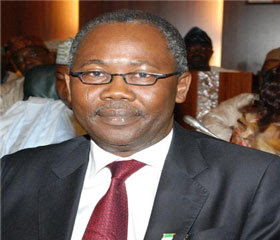 Mr. Adoke, sources in the Economic and Financial Crimes Commission told this newspaper, is being wanted in connection with the $1.1 billion Malabu Oil deal. PREMIUM TIMES learnt that Mr. Adoke is believed to be in Dubai. He is required to answer questions about his role in facilitating the transfer of the huge sum, paid by oil giants Royal Dutch Shell and Eni, to accounts operated by a former petroleum minister and convicted felon, Dan Etete. Also on the list is the publisher of ThisDay Newspaper, Nduka Obaigbena. He would be declared wanted for receiving N670 million from former National Security Adviser, Sambo Dasuki. Mr. Obaigbena claimed, in his letter to the EFCC, that part of the money was meant for compensation for Boko Haram attacks on his newspaper offices in Abuja and Kaduna, while another N120 million was on behalf of the Newspaper Proprietors Association of Nigeria and 12 newspapers who asked to be compensated for the “unlawful seizure and stoppage of circulation by armed soldiers in Abuja and several cities”. Some of the newspapers have denied receiving money from the newspaper body, NPAN, while some others have returned the money they were paid to the association after it was revealed that the payment was made from the alleged missing N2.1 billion meant for the procurement of arms to fight Boko Haram. According to our source, the whereabouts of Mr. Obaigbena is unknown, but it is hoped that he would be arrested wherever he is as soon as his name is published, and be extradited to Nigeria to face trial. Others on the list are a former Comptroller of the Nigerian Customs Service, Abdullahi Dikko, who is being investigated for fraud, and a former chairman of the Pension Reform Task Team, Abdulrasheed Maina, who is wanted for allegedly stealing N2.8 billion. Both men are believed to be hiding in Dubai, United Arab Emirate. Our sources said two retired senior military officers, Sarki Yarki-Bello, a retired General and Bello Fadile, a retired Colonel, who worked in the office of the national Security Adviser under Mr. Dasuki, are also on the list. Mr. Sarki was the Director of Counter-terrorism at the ONSA while Mr. Fadile is described as a close confidant of former National Security Adviser, Mr. Dasuki. Last July, Mr. Fadile was arrested in company of Mr. Dasuki when operatives of the Department of State Security raided the home of the former NSA in Abuja. Messrs. Sarki and Fadile are believed to be hiding in Dubai. Also on the list of wanted ex-officials is Waripamowei Dudafa, a former Special Assistant to ex-President Jonathan on Domestic and Social Events.